Rothman, Julia. Very Good. 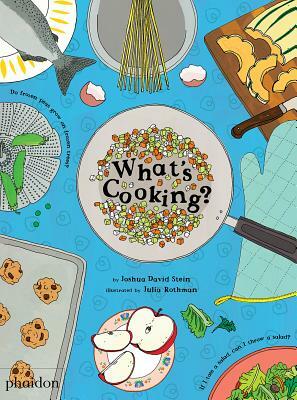 A whimsical read-aloud of delicious answers to ridiculous questions about what can-and cannot-be done in the kitchen! Sewn binding. Cloth over boards. 40 p. Contains: Illustrations. Intended for a juvenile audience. Very Good. Unused. Very gentle shelf wear to edges of jacket. Contents as new. 40 p. Intended for a juvenile audience. All Editions of What's Cooking?